The U.S. and Russia are inciting collective déjà vu. With the demise of the Intermediate-Range Nuclear Forces (INF) treaty, memories of the Cold War are returning to the zeitgeist. The Mirror’s Oliver Milne highlights some of the most concerning facts in the February 2, 2019, piece “Russia and US on brink of new arms race as both countries ditch weapons treaty,” where he quotes from the recent Global Michigan interview with Ford Professor Melvyn Levitsky. Levitsky, who spent years as a U.S. diplomat and ambassador, emphasizes that the goal of the INF was to “eliminate a whole class of nuclear weapons,” yet with its end comes a new era of uncertainty. Read The Mirror’s story here and the original interview with Professor Levitsky here. 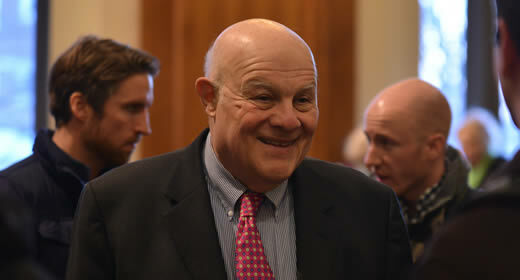 Melvyn Levitsky is a professor of international policy and practice at the Gerald R. Ford School of Public Policy and a retired career minister in the U.S. Foreign Service. He spent 35 years as a U.S. diplomat, including as ambassador to Brazil, executive secretary of the State Department, ambassador to Bulgaria, and deputy assistant secretary of state for human rights.